Citi Offering 3 AAdvantage Miles Per Dollar on Gas, Groceries, and More. Targeted? Many of the credit card offers below have expired, so their links have been removed. Click here for the top current credit card sign up bonuses. By clicking the button inside the email, I enrolled myself for 3 American Airlines miles per dollar at department stores, restaurants, gas stations, and grocery stores through 12/31/13 on purchases made with my Citi AAdvantage card. There is a limit of 2,500 bonus miles ($1,250 in spending) on the promotion. Clicking “Enroll with one click >” did just what it should have, taking me to this message. Everyone should check your email for a similar email, and enroll with one click if you can. But should you take advantage of the offer? Or are there more valuable cards on which to spend even after this bonus? 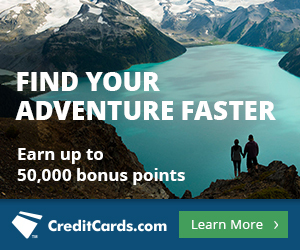 What is the best current offer on the Citi AA card? The most valuable rebates will invariably come from meeting the minimum spending requirement for a sign up bonus. For instance, right now you can earn 40,000 bonus Arrival miles after spending $1,000 on the Arrival World MasterCard. Plus $1,000 spending on the card always earns 2,000 Arrival miles. Forty-two thousand Arrival miles are worth $466.20, so the rebate percentage on the first $1,000 of spending on the card is 46.6%. The next most valuable rebate percentages come from category bonuses. For instance, the 5 Ultimate Rewards per dollar earned on office supply purchases with the Chase Ink Bold and Plus are worth about 10 cents, so that category bonus is a 10% rebate. This promotion creates a temporary category bonus. I value three American Airlines miles at 5.31 cents, so I will get a rebate percentage of 5.31% by spending at gas stations, grocery stores, department stores, and restaurants with my Citi AAdvantage card during this promotion. At department stores from October 1 through December 31 this year, I will earn 5 Ultimate Rewards per dollar on my Chase Freedom, so I won’t use my Citi AAdvantage card there. 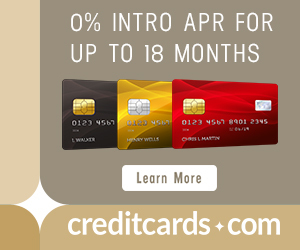 I also just opened a few new cards that have minimum spending requirements which offer a higher rebate percentage than 5.31%, so I will meet those before taking advantage of this bonus. But if I meet those minimum spending requirements, I will pull my Citi AAdvantage card out of my wallet for $1,250 worth of spending at grocery stores, gas stations, and restaurants before the end of the year. Citi tends to send out targeted 50k offers on the card without actually restricting approvals to people who were targeted. This FlyerTalk thread keeps track of the highest Citi AAdvantage card offers floating around the internet if the current 50k offer goes down. Here are the terms and conditions of the offer from the email and from the confirmation screen of enrollment. Thanks – I’ll keep my eye out for messages in my spam folder. I spend way too much on gas and groceries so this would be nice. Trying to get the 3X per dollar signup to open from your link but it won’t open. Can’t find it on any of the posted links. Help please and thanks. What link? You have to get the email from Citi. Per Scott…when I read your post, then replied, I thought that your link was a hot link. But I now see it isn’t. Thus my next query regarding whether there is a way get an offer even if you are not targeted. Yes, targeted. Didn’t get this one but got one for 3x computer store and electronic store. I got the same email but my husband didn’t. Mine was for dining, theater, and movies. Theater? Tough break. If you eat at some restaurants very regularly, you might want to buy yourself gift certs. Is there any way I can sign up for this offer? It’s great for me and apparently I have not been targeted. Yup, it’s targeted. I didn’t get it; know someone who did. I got another targeted offer. 2 points/dollar spend on online purchases. Up to 2500 miles. That works just as well for me! I got the offer for my CitiBusiness AA card. It is 3x for travel, dining, office supplies, car rentals, AND EVERYTHING ELSE! Apparently the only exclusions are balance transfers, cash advances, fees, and finance charges. Easy! The “2500 bonus miles max” limits my interest….not very generous. Don’t forget that this can be stackable if you use the shopping portal. On line department stores such as Macy’s have promos of their own, use the AA card for your purchase after clicking through the portal and boost your haul. I signed up for the Citibank/AA November-December triple mile promotion and just received my latest statement. I did not get the extra mileage on many of my purchases. When I called Citibank, I was told the businesses were not eligible, which means the consumer would have to ask the business if they are in the program. Just FYI some of the purchases I made were at Pathmark Supermarkets, Hess Gas Stations and Valero Gas Stations and at Trader Joe’s. So much for triple miles!